Another day of transfer news, gossip, rumors, speculation surrounding the Gunners comes upon us. There isn't many transfer news today, but there are some interesting headlines. Without further ado, here's the Arsenal Transfer News Roundup. Today, QPR star Adel Taarabt, has claimed that the Gunners and Chelsea have made contact with him and that they're both interested in signing him. Taarabt also sensationally claimed that Arsenal are lining him up as a replacement for Cesc Fabregas, and also states that QPR value him at 10 million pounds. Taarabt is a talented and skillful player, but is he a good replacement for Fabregas, in my opinion, no he's not. He's also a player known for his not so good attitude, which has seen him fall out with former managers at Tottenham and with the Moroccan national side. I don't recommend him as a potential signing for the Gunners. 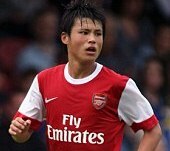 Reports are claiming that Arsenal's Japanese rising star, Ryo Miyaichi, is on the verge of resigning for Feyenoord for a second loan spell with the club. Miyaichi, had an impressive loan spell with Feyenoord where he's become a fan-favorite. Miyaichi has a bright future ahead of him and I believe that a second loan spell would benefit him greatly; he needs all the match experience that he can get. What do you think? Do you want to see Taarabt as a Gunner? Do you agree that Miyaichi should have another loan stint? Please share your thoughts and opinions. This article is a continuation of my The Players I Would Buy If I Was Wenger series. 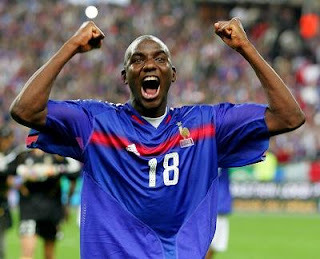 Next on my list, is French international and Bordeaux star holding midfielder and skipper, Alou Diarra. I apologize for the delay and I hope it's a good read. 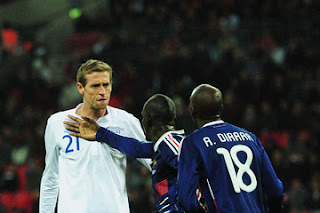 Alou Diarra is a French international of Malian descent, who was born on July 15, 1981 in Villepinte, France. 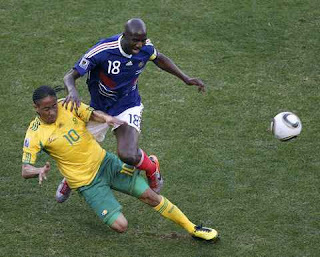 Diarra began his career at local club CSL Aulnay, where he played for six years before moving to FC Villepinte. Diarra struggled to get any interest in him and was forced at times, to contact clubs to receive trials. In 1997, Diarra signed for Ligue 2 club CS Louhans- Cuiseaux where at first, he played for the reserves , but impressed in his three seasons at the club, even making his professional debut on April 15, 2000 against Toulouse. He left the club after refusing to sign a new contract, and was surprisingly snapped up by German giants Bayern Munich. Diarra, was again placed in the reserves squad, where he put on some impressive performances alongside players like Phillip Lahm, Owen Hargreaves and Bastian Schwiensteiger, but he never played a professional game with the club and his stint with Bayern Munich is largely considered a failure. Diarra, then signed for Liverpool, but again failed to make a single appearance for the club and spent his three seasons on loan at three different French clubs: Le Havre, Bastia and Lens. He impressed at Lens, who signed him permanently in the summer of 2005 and he made 81 appearances overall, scoring 4 goals and even gaining his first call-up to the French national squad, where was included in the squad for the 2006 World Cup. He made two appearances, one of them as a substitute in the Final against Italy. He then moved to Olympique Lyon, where he won the Ligue 1 championship, but was not a key player in that triumph, making only 24 appearances, 9 of them as a starting player. Diarra left to Bordeaux the following season, where he finally rose to prominence and established himself, as one of the best players in his position in Europe. 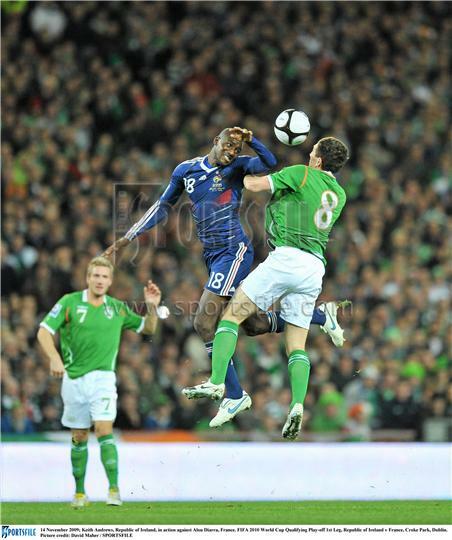 He is now a regular and the captain of the French national team. Diarra has so far made 162 appearances for Bordeaux, scoring 12 goals and 34 appearances with France. Based on these ratings, Alou Diarra is a tough, combative, physical player who has been often compared to Arsenal legend Patrick Vieira. Alou Diarra has great leadership qualities and also isn't too shabby with the ball in his feet, he can make good runs and skip past players. He's a powerful player, who's excellent in the air and strong in the tackle. He's in my opinion one of the best in his position in Europe, and has the experience and character to succeed as a Gunner. According to transfermarkt.co.uk, Diarra is valued at around 10 million pounds, but according to many reports, Diarra has a buyout clause of around 8 million euros which makes him a more than available target. There is a lot of interest, though, from France in Marseille and Paris St. Germain, who reportedly have made offers for the player. Despite that, Diarra is still a Bordeaux player and the Gunners still have a chance of acquiring him. Where would Diarra fit in at Arsenal? He is a defensive midfielder, which is Alex Song's position. Basically, Diarra will either play ahead of Song or the most realistic and better choice, would be playing alongside Song. This will definitely help push Jack Wilshere into a more attacking role, where he excels the most. Also, Song will likely play in the African Cup of Nations next year and so having Diarra, would definitely lessen the effects of his absence. Diarra, with his ability and experience, can also help aid the progress of rising stars like Emmanuel Frimpong. All in all, Diarra, in my opinion, will be an excellent addition to the squad. He relishes physical battles, he's tough, combative, experienced, powerful and an excellent leader. He'd do very well as a Gunner. What do you think? Is Diarra a suitable target for the Gunners? Should Wenger go after him? Please share your thoughts and opinions.